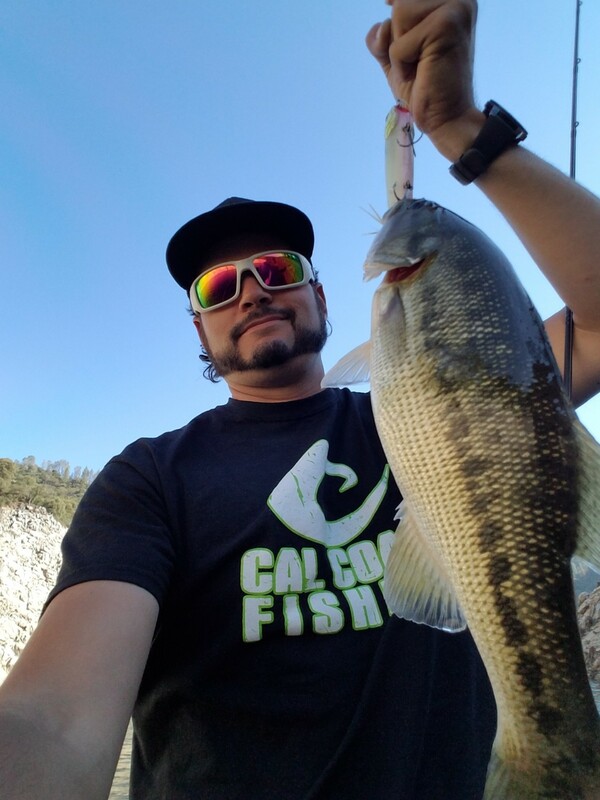 I headed out to Folsom Lake Monday and arrived around 10:00am. It was pretty clear out and there wasn’t much movement in the lake. It was definitely a high-pressure system day. I hit a few areas that made since for this time of year with short strikes and no luck. I could just feel it was going to be a tough one. From 10am to about 230pm I still had no luck and was pretty close to calling it quits. Then I really thought about what these fish were doing. 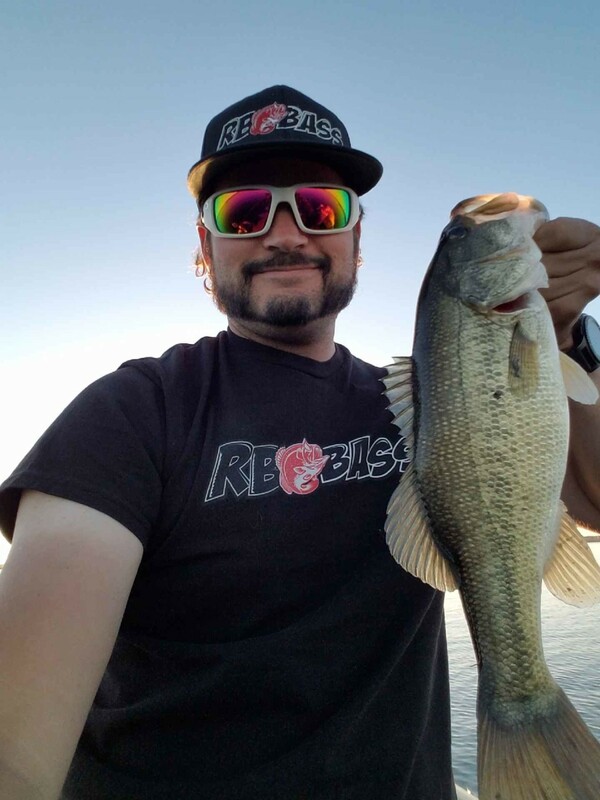 I had thrown Drop shot, Dart, Shaky head, dragged jigs, topwater, spybaits, Spinnerbaits, Crankbaits, lipless, A-rigs, small Keitechs, jigging and flutter spoons over schools and nothing except short strikes on the drop shot. I thought well, these fish will huddle up somewhere and be close to a deep-water access. I figured I would give it another shot before leaving. Reading my Lakemaster chips map on my Humminbird I found an ideal location up the south fork that the fish may relate to during the current conditions. I idled over the spot and saw a stack of fish sitting on the edge of the ledge that went from 20ft -30ft very quickly. I backed off and fished it for about ten minutes with the drop shot and barely moved it. I had a pressure bite and loaded up. Another miss! I checked out the worm I was using and it had some pretty good sized hold marks on it so I knew it was a decent fish, but yet another short strike. I gave it about 10 more minutes and moved to another location that looked similar. I pulled up and had seen more fish on the graph than I had seen all day in one spot. This ledge was on a hump in about 20ft of water. Sticking to the drop shot I cast out and dragged it over the ledge. Another pressure bite and fish on! Landed a small 1lber and cast back out. Another one loaded up and then another and then another and they seemed to keep getting bigger by half pound increments. Nothing huge, but this day had certainly turned around. All of the fish were largemouth which I was pretty happy with. I noticed some top water activity out deep over about 80feet and cast my River2Sea Rover 128 out and within a few twitches a nice Smallmouth Bass blasted it close to 2lbs. Some activity started showing up shallow getting closer to dark and I cast the rover to the bank near the same spot I found the largemouth. Working it slowly a bass rolled on it the rod loaded up and I couldn’t pull this fish. A few seconds later it got off the hook. Darn! I cast back out to the same bank and another bass close to 2.5lbs hit the Rover and I landed it. I ended the day with some fun at least and If you put the time in you can find them. 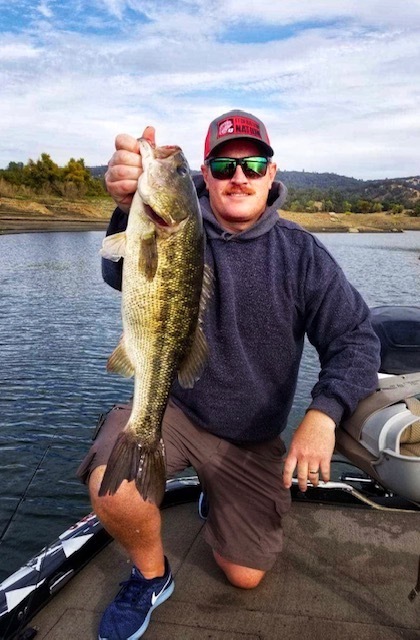 Folsom lake can be a finicky lake especially during a high pressure system, but there is a lot of fish in there. From what I found keep searching until you get a bite and break down the area because they are very huddled up. Steep drop offs seemed to be key for today’s conditions. Soon the lake will be wide open and there will be some big catches coming out. By the end of November that Heavy limits A-rig bite should be on! Jigs should be killer and even a swimbait bite. As for drop shot, my worm of choice that got the most bites was a 6” Roboworm in MMIII color. Hope this helps. Good luck out there!